USB 2.0 is a Universal Serial Bus (USB) standard. Almost all devices with USB capabilities, and nearly all USB cables, support at least USB 2.0. Devices that adhere to the USB 2.0 standard have the ability to transmit data at a maximum speed of 480 Mbps. This is faster than the older USB 1.1 standard and much slower than the newer USB 3.0 standard. USB 1.1 was released in August 1998, USB 2.0 in April 2000, and USB 3.0 in November 2008. USB 2.0 is often referred to as Hi-Speed USB. Plug is the name given to the male connector on a USB 2.0 cable or flash drive, while the receptacle is the name given to the female connector on a USB 2.0 device or extension cable. USB Type A: These connectors are technically called USB 2.0 Standard-A and are the perfectly rectangular USB connectors you'll find on most non-mobile devices. USB 2.0 Type A connectors are physically compatible with those from USB 3.0 and USB 1.1. USB Type B: These connectors are technically called USB 2.0 Standard-B and are square except for a small notch on top. USB 2.0 Type B plugs are physically compatible with USB 3.0 and USB 1.1 Type B receptacles but USB 3.0 Type B plugs are not backward compatible with USB 2.0 Type B receptacles. USB Micro-A: These connectors, especially the plugs, look like miniature versions of USB 2.0 Type A connectors. USB 2.0 Micro-A plugs are compatible with both USB 2.0 Micro-AB receptacles and USB 3.0 Micro-AB receptacles. However, newer USB 3.0 Micro-A plugs will not fit in USB 2.0 Micro-AB receptacles. USB Micro-B: These connectors are small and rectangular but two corners on one side are slanted instead of square. USB 2.0 Micro-B plugs are compatible with four receptacles: both USB 2.0 and USB 3.0 Micro-B and Micro-AB receptacles. Newer USB 3.0 Micro-B plugs are not backward compatible with either USB 2.0 Micro receptacle. USB Mini-A: These connectors are small and mostly rectangular with one very rounded side. USB 2.0 Mini-A plugs are only compatible with USB 2.0 Mini-AB receptacles. USB Mini-B: These connectors are small and mostly rectangular with noticeable indentions on the short sides. USB 2.0 Mini-B plugs are compatible with USB 2.0 Mini-B and USB 2.0 Mini-AB receptacles. Only USB 2.0 supports USB Mini-A, USB Mini-B, and USB Mini-AB connectors. You may want to consult a USB Physical Compatibility Chart for a reference on what-fits-with-what. Older USB 1.1 devices and cables are, for the most part, physically compatible with USB 2.0 hardware. However, the only way to reach USB 2.0 transmission speeds is if all devices and cables being connected to each other support USB 2.0. 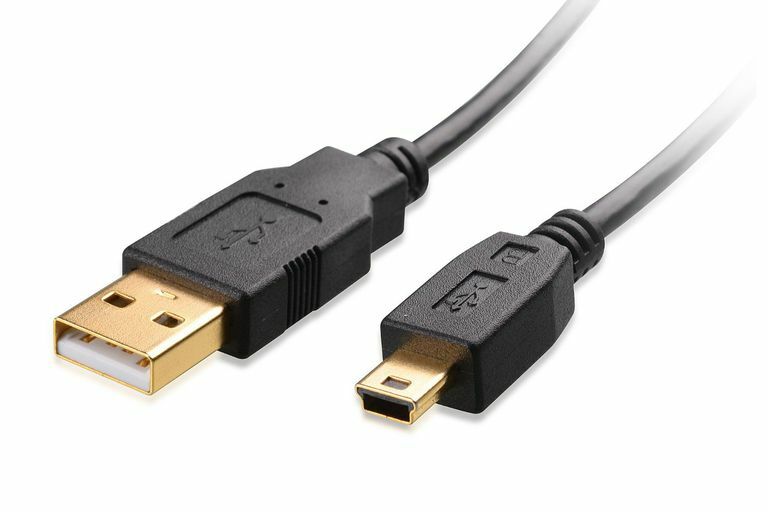 If, for example, you have a USB 2.0 device used with a USB 1.0 cable, the 1.0 speed will be used regardless of the fact that the device supports USB 2.0 since that cable does not support the newer, faster speeds. USB 2.0 devices and cables used with USB 3.0 devices and cables, assuming they're physically compatible, will operate at the lower USB 2.0 speed. In other words, the transmission speed falls to the older of the two technologies. This makes sense since you can't pull USB 3.0 speeds out of a USB 2.0 cable, nor can you get USB 2.0 transmission speeds using a USB 1.1 cable. USB On-the-Go was released in December 2006, after USB 2.0 but before USB 3.0. USB OTG allows devices to switch between acting as a host and as a slave when necessary so that they can be connected to each other directly. For example, a USB 2.0 smartphone or tablet might be able to pull data off of a flash drive as a host but then switch over to slave mode when connected to a computer so that information can be taken from it. The device that supplies power (the host) is considered the OTG A-device while the one that consumes power (the slave) is called the B-device. The slave acts as the peripheral device in this type of setup. Switching roles is performed by using the Host Negotiation Protocol (HNP), but physically choosing which USB 2.0 device should be considered the slave or host by default is as easy as choosing which end of the cable the device is connected to. Occasionally, HNP polling will take place by the host to determine if the slave is requesting to be the host, in which case they can swap places. USB 3.0 uses HNP polling as well but it's called Role Swap Protocol (RSP).